Minneapolis’s shiny new gem, U.S. Bank Stadium, is set to host Super Bowl LII on Feb. 4, 2018, putting the Twin Cities squarely in the spotlight as epicenter of the NFL fan world for one blowout weekend. The home of Prince, the Mighty Ducks and Jesse Ventura, Minnesota’s largest city and its surrounding metro area are well equipped to handle the sporting, culinary, cultural, musical and commercial demands of the league’s most committed fans. The Vikings’ state-of-the-art, hybrid home opened in 2016 at the site of the famed Metrodome. And while fans of both the Vikes and Twins made many memories at the old dome over the years, U.S. Bank Stadium serves as a significant facility upgrade and testament to the Twin Cities’ environmentally progressive leanings. Boasting a uniquely transparent facade and improved sightlines from all over the 66,655-seat, 137,000-square-foot building, this fixed-roof, multipurpose event center has been the envy of the rest of the league since early renderings were released. That’s not only for the aesthetic appeal. Its versatile presence opened all sorts of new entertainment avenues for what was previously considered just a spring and summertime destination. Case in point: Super Bowl Sunday has traditionally been a warm-weather affair, shuffled annually between New Orleans and the usual Florida- and California-based suspects, with the occasional visit to a dome in Detroit or Indianapolis. Now, the football world is flocking to the Land of 10,000 Lakes, undeterred by the Minnesota cold and eager to see the league’s most innovatively designed building firsthand. Prince’s home and pseudo-shrine has taken on heightened significance since his passing in 2016. While it’s a little bit of a drive to suburban Chanhassen, music and pop culture buffs alike will consider this free-flowing art space and studio a can’t-miss attraction. Tickets are usually available, but it’s worth reserving ahead of time if you want an extended tour or the full VIP experience, especially given The Artist’s posthumous cache. A quick jaunt from the stadium or downtown hotels, the neighborhood named for the St. Anthony Falls sits just across the Mississippi River by way of the Stone Arch Bridge, offering some of the best views of the skyline. Whether you’re looking for eclectic dining options, a theater night out or just a casual stroll in a beautiful urban setting, this Northeast Minneapolis corridor is your spot. While St. Anthony Theater is an equally viable option for a show night, Guthrie is perhaps the most esteemed of the metro area’s venues. Located right along the river bank, just blocks from U.S. Bank Stadium, this half-century-old locale is a Minneapolis civic establishment, showcasing some of the finest local talent on a nightly basis. The neighborhood surrounding much of the University of Minnesota Twin Cities campus is a bit of a geographical juxtaposition, functioning like a Big Ten college town within the confines of a major metro area. The UM student population and housing provide the energy, night life and vibrancy of Madison, Wisconsin, or Ann Arbor, Michigan, but you can easily zip back to your downtown hotel within minutes, leaving the fraternity fray and academic centers in your wake. Perhaps no city outside of Portland, Oregon, has adopted the microbrewery movement and customized it like Minneapolis. There are too many to hit in one weekend, but there are worse ways to spend a chilly February Saturday than by catching a ride to the old Northeast warehouse district. In the matter of an afternoon, you can hit Bauhaus, Dangerous Man and 612Brew, to name a few. Over by Dinkytown, Surly Brewing Company is home to a local staple that’s begun to make a name for itself nationally, as well. 85 Triceratops bones. 20 staff. 3,000+ staff hours. So much went into moving the Triceratops to its new home. Boasting a 10,000-square-foot Sportsology exhibit that opened in 2017, the Science Museum is among the most broadly appealing cultural attractions for visitors of the Twin Cities during Super Bowl weekend. Located in downtown St. Paul, its amenities include a massive Omnitheater that runs daily shows sure to excite visitors of all ages. Looking for where the cool kids hang? Stray no further than Uptown for your hipster fix, where Hennepin Avenue leads you through an array of coffee shops, boutiques, record stores, music venues, murals, parks, lakes and bike trails. This is in many ways the cities’ cultural crossroads, just a 15-minute drive from downtown but offering a respite from the commuter bustle and plenty of options for dining, shopping, nightlife and sidewalk intellectual banter. What happens late night at the walk-up window at Al’s Breakfast probably should stay at the walk-up window at Al’s Breakfast. Breakfast burritos and blueberry pancakes on the sidewalk in #Minneapolis. Al’s Breakfast in Dinkytown makes up for what it lacks in square footage with miles of quirky character. Tiny but treasured, Al’s blends a nostalgic greasy-spoon diner vibe with some menu versatility – drunken banana French toast anyone? – incorporated by its recently overturned ownership. Exemplifying the eco-conscious ethos adopted by many Minnesotans, The Bachelor Farmer in the Minneapolis warehouse district combines time-honored Nordic recipes with neo-farm-to-table sensibilities. They also serve up an extensive wine selection in a spacious, naturally lit setting. If you’re looking for a comfortable yet classy brunch comprised of organic ingredients, this is your spot. Slide down to Uptown to get your novelty ice cream fix – Milkjam boasts a rotating menagerie of flavors, complete with clever names (Waka Flocka Flakes, PB vs Everybody) and gluten-free options. Located right on bustling Lyndale Avenue, this place is rapidly growing in popularity. It offers sweet-tooth remedies ranging from cones, milkshakes and ice cream sandwiches to take-home pints and slices of cake or pie for those who can’t quite decide on one treat. The Twin Cities may be better known for Scandinavian heritage and thusly inspired cuisine, but Mucci’s, right off 7th Street West in St. Paul, will go toe-to-toe with your favorite New York or Chicago Italian joint. It’s an inventive take on the traditional fare, with gourmet donuts and craft cocktails as much a part of the draw as the lasagna or the baked lobster. Don’t sleep on the thin-crust pizza, which was instrumental in first helping Mucci’s make a name for itself. Saint Dinette was conceived as a gathering place where artists, businesspeople, sports fans and city workers alike could come together for a modern take on homestyle American favorites. It’s located around the corner from CHS Field, home of the minor league baseball Saints, in downtown St. Paul, and serves up a blend of North American staples, including French-inspired cuisines rooted in Montreal, New Orleans and the Gulf Coast. Make a reservation – special events can sometimes take precedence – and come hungry, as the portions are hefty. 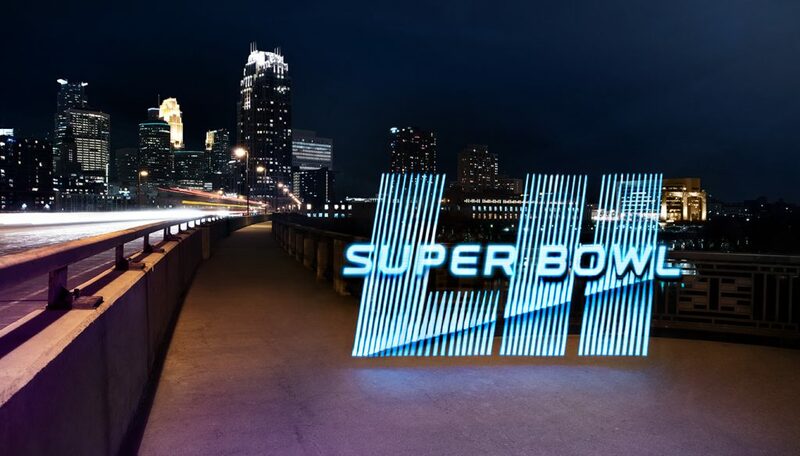 When shopping for your 2018 Super Bowl Tickets, remember to make this a once in a life time experience with verified tickets. Make sure you avoid ticket scams and know how to recognize fake football tickets with these two helpful posts.